"In hindsight we should have done a better job of helping players through the transition." 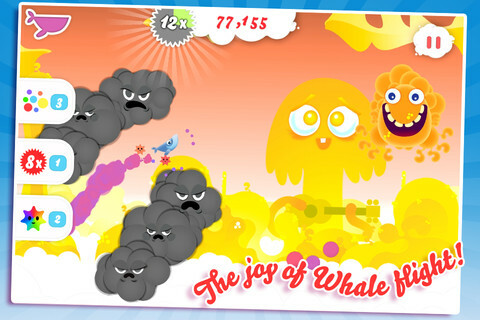 When Whale Trail launched in October 2011 it did so to critical acclaim, receiving comprehensive coverage in both the specialist and mainstream media. The game was lauded for its psychedelic visuals, simple yet compelling gameplay, and an infectious soundtrack from the typically eccentric Super Furry Animals frontman Gruff Rhys. Yet despite all of the exposure and plaudits, the game failed to turn a profit for developer ustwo. 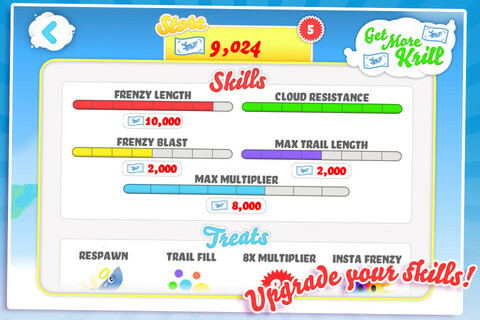 Earlier this month the studio released a revised edition of the game on the App Store, introducing a freemium business model that tied into fundamental changes to Whale Trail's gameplay. It led to a flood of negative reviews on the App Store, particularly from those who had purchased the game in its original form and who now face the choice of either playing the revised version, or abandoning the title entirely. Recently, we got in touch with Matt 'Mills' Miller, co-founder of ustwo, to discuss the changes made to the game, the fan reaction to the new Whale Trail, and the advice he'd give now to budding developers. I was surprised to read that the game hadn't been commercially successful for ustwo despite its immense popularity and coverage. What are your thoughts on the viability of the traditional business model after this experience? Would you advise other developers starting out to reconsider their strategy? We set ourselves the challenge of proving that we could make a game about the joy of flying in a world of make believe and be successful selling it for 69p. Sadly it just didn't shift the copies we needed for it to sustain its development. We were selling 200-300 copies a day and as we're a small sub-team within a big studio we incur big overheads which we weren't meeting. The app business is like a drug for those involved and every so often wonderful games spring out of nowhere and smash it in the charts. The beauty is there's always the dream that your game could be one of them. If you're not appealing to 'core gamers' who follow charts and new releases, it's hard to get your game into people's hands. New developers should definitely think about who their game is for, and plan around that. The chances of a 'niche' title making it big at 69p are very small and if you're not appealing to that core market, you should probably be thinking about focusing on your own audience and making a higher value, higher priced game rather than trying to appeal to everyone. Developers should be cautious about going free as the free charts are probably even more competitive than the paid charts. Again if your game doesn't have a very broad appeal then you'll struggle for exposure. We felt that Whale Trail's chance to shine in the paid charts was over so there wasn't much to lose by going free, and more importantly a lot to learn. Our two most important aims in going free were to learn, and to show the game to as many players as possible. Of course we hope that all these new players will love the game as much as we do, and it will take off in that way, but being realistic the chances of it performing better financially are low. The new version of the game is much more fun, lasts longer and expands Willow's world, we re-balanced with that in mind to provide a few hours of enjoyable progress and improvement. We wanted to make a game that is engrossing without forcing people to choose between grinding or In-App Purchases. 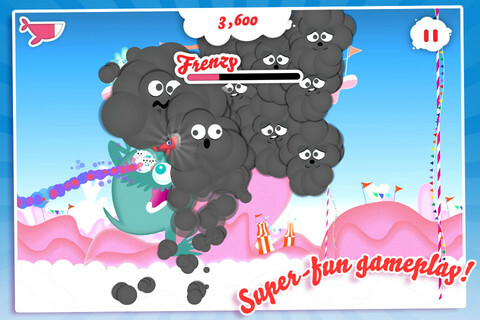 Had you anticipated the strong negative reaction from some of Whale Trail's fans? We underestimated the love for the original version. Although it was getting lots of 5 star reviews, they would often say something was missing - that it didn't hold their attention for long enough. We knew from play testing that the new version initially came as a bit of a shock to existing players, but once they'd played for a few minutes they universally preferred it, saying the new progression gave the game a new lease of life and a reason to get back into a game that they felt they'd exhausted. We didn't anticipate how many people would be so put off by their initial taste and in hindsight we should have done a better job of helping players through the transition. We do award existing players with free krill to get a head start, but I think it's fair to say that it hasn't cushioned the transition enough for most people. We all think Whale Trail 2.0 is a reinvigorated game, and we're sad to see so many people who we know will love it not getting that chance. The Android version of Whale Trail is still currently available for sale in its original form. Is that any reflection of the differing policies of Apple vs Google Play? What's your reaction to complaints from a section of your playerbase that the game they've purchased has been significantly altered to something that they may not have wanted at the time of purchase? We had beta tested the new update with 100 fans before the release and the overwhelming response was that it was a major improvement. We really think that most people who play for 10 minutes or so will get into the new version, and probably prefer it! The simple fact is we failed to anticipate such a strong reaction to the change. When we were considering how much free krill [in-game currency] to give upgraders we deliberately veered to the low side because we didn't want to force them to miss out on the early-game experience. I guess it's obvious we were worrying about the wrong thing! We've got an update in the pipes to fix a crash on some iPod Touch 4Gs, and as part of that we'll be giving more krill to old players. Hopefully that will help some people get back into the game. Change always brings reaction. The fundamental game play is the same and we've spent over a year working on it, agonising over various details. Perhaps we should have given up, but we felt there was a user base out there that we were unable to reach without tweaking the game to make it faster to play and engaging for longer.